Did you know coeliac disease affects about 1 in 70 Australians, but over 300 000 people (over 80%) are undiagnosed? * Or that non-coeliac gluten sensitivity effects 6-7% of the population? That’s over a million people in Oz alone. So how do you know if you should go gluten free? Let’s take a look at a few of the common questions surrounding gluten to help you work out if going gluten free is right for you. Gluten is a protein found in wheat, rye, barley, oats, malt, spelt and tricale. Which means, it’s found in plenty of foods. It helps to give rise and bind ingredients together to make breads and similar products be stretchy and combine together. For more information on gluten, click here. What does gluten do to you? Is it bad for you? Gluten is not necessarily nasty… unless you have adverse reactions to it… Then it’s not so nice! Some people can’t eat gluten at all (coeliac disease), some just find they are sensitive to gluten. There is a school of thought that indicates we all have difficulty processing or digesting gluten to some degree and that limiting our intake is not a bad idea. What is gluten sensitivity or intolerance? How is it different to coeliac disease or a wheat allergy? Having a gluten sensitivity or intolerance means just that… Your body is sensitive to gluten – it can’t tolerate that protein and can’t digest it properly, so your insides don’t react nicely to it at all! Gluten sensitivity is slightly different to coeliac disease, but also has a lot of similarities. With coeliac disease the reaction to the protein gluten creates an autoimmune response to launch attack on the gluten as well as your intestinal walls and enzymes with plenty of unwanted and serious effects. This damage to the intestines and bowel lining can be very serious and painful. Gluten sensitivity or intolerance is an adverse reaction to the protein gluten, without the autoimmune response but still with unwanted effects. Both involve a difficulty in digesting gluten. Both coeliac disease and gluten sensitivity share almost the same symptoms, including mouth ulcers, fatigue, weakness, lethargy, bloating, wind, stomach pain/cramps, diarrhoea or constipation, weight loss, nausea, vomiting, anaemia, skin rashes, joint pain, mood issues (irritability, anxiety, depression, etc). A wheat allergy is quite rare and is different to gluten senstivitiy or coeliac disease as it is an acute reaction to the wheat, not the protein gluten that is within the wheat. Whilst a wheat allergy shares some symptoms, more common symptoms are the more allergic-type reactions (such as asthma, eczema etc) and can be far more severe (anaphalaxis). you have gluten sensitivity and not full blown coeliac disease. There is actually a larger percentage of people in the world today with a gluten sensitivity than there are people with coeliac disease. you need to investigate other issues such as irritable bowel syndrome (it’s known to have links to the same symptoms). you have other food sensitivities. Nasty food additives can cause similar symptoms to those for gluten sensitivity. Click here for more information on food additives. If you are feeling unwell, the most important thing is to seek help and find out why. There are plenty of health practitioners – dieticians, nutritionists, etc – who will acknowledge gluten sensitivity as a real problem and be there to help you. Shop around to find the right help for you! If you can’t find an answer and want to try eliminating additives from your food, type in additives in the search bar at the top right of this screen to find all my blogs on additives. What is it really like to go gluten free? There are plenty of myths and false perceptions about gluten free food and living a gluten free lifestyle. I won’t mince words – there are bits that can be hard at first, and even though it’s growing in awareness and popularity, it can be difficult to eat out and do ‘normal’ things other gluten eating people do. But once you’ve made the change, it becomes much easier and the benefits far outweigh the losses. If you are finding it hard to go gluten free, my eBook Going Gluten Free Permanently is designed to support you through the change so you can go gluten free for good. It’s due to be released right here on my website on Monday 20th April 2015! 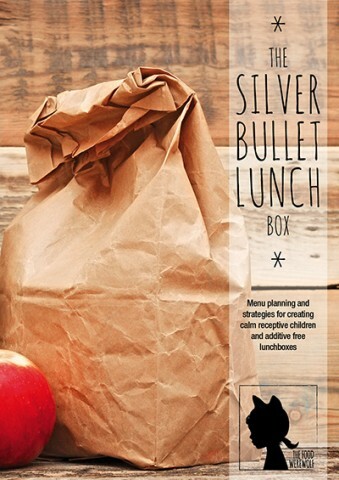 To get the latest news and special discount offers on my soon to be released gluten eBook, click here to subscribe to my newsletter and receive a free mini eBook on School Lunch Ideas as well! Going gluten free can be healthy for you, providing you are aware of what you are eating and how food makes you feel. So what makes going gluten free so healthy? Our bodies aren’t equipped to process the large amounts of grain that today’s ‘usual diet’ heavily relies upon. So cutting down on the amount of glutinous products will certainly help bring back some balance in the food groups we eat because in essence, going gluten free promotes a large focus on fresh real foods. Additives can often cause similar, if not worse symptoms than those you can get from gluten. Wheat is also a product known for genetic modification (GMOs) and non-organic farming methods, which can lead to pesticide contamination. Some research suggests GMOs and pesticides are linked to all sorts of health problems, so we choose to avoid when possible. However, going gluten free doesn’t necessarily mean you will avoid the problems associated with additives, GMOs and pesticides. Unfortunately, many gluten free products are also laden with additives to try and mimic the properties of gluten. 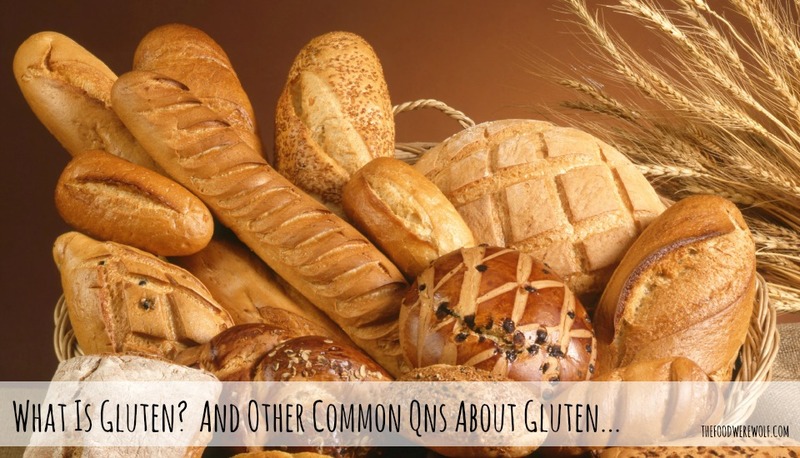 But going gluten free can be healthy – it just requires a little care in product choices. Start becoming more aware of the food you eat – from how it is grown to how it is processed and packaged. If you are concerned you aren’t getting all your nutritional needs from gluten free food, seek help from a dietician or nutritionist. There are alternative foods to supplement the nutrients you would normally get from wheat-based grains. For help with the steps you should take to go gluten free permanently, be sure check out my soon to be released eBook Going Gluten Free Permanently. It also includes product recommendations so you can find the right gluten free foods that don’t contain any nasties. How gluten free should you go? I’m a big believer in balance – extremes and excesses are rarely beneficial. However when it comes to coeliac disease, going to the extreme is required. Gluten must be completely eliminated – there’s no half way. For those with gluten sensitivity, the intolerance can be cumulative. Basically, this means a little may be ok for some, however it’s a very individual thing. The safest way is to go for complete elimination to avoid any pain, and that way any mishaps will have minimal consequences. So is going gluten free right for you? Have a good look at the symptoms and what you eat on a daily basis. Do you have any of the symptoms for gluten sensitivity? Perhaps you’ve been tested for coeliac disease and were told you are all clear, but still have problematic symptoms. Perhaps you are just aiming for more natural, fresh foods and want to steer clear of processed, additive laden products. In either case, going gluten free may help you. We are thankfully all wonderfully unique individuals, with complex systems that react to foods in different ways. Find out what’s best for you by looking within and seeking help from a nutritionist or dietician. You can also contact me for a chat by clicking here. There is no harm in going gluten free. If anything, going gluten free can help get you one step closer to a fresh food eating lifestyle, which has only positive outcomes for all! If you make the choice to go gluten free, be sure to keep an eye out for the release of my new eBook Going Gluten Free Permanently available on Monday 20th April 2015, to give you all the strategies and tips to enjoy a gluten free lifestyle for good. Subscribe here so you don’t miss out!